First Listen: Hear never released Marvin Gaye song "Symphony"
(March 22, 2019) Marvin Gaye would have turned 80 next month, and the auspicious date is being celebrated with the release, on March 29, of the long lost album recorded by Gaye after his hallmark What’s Going On disc, but never released by Motown brass. 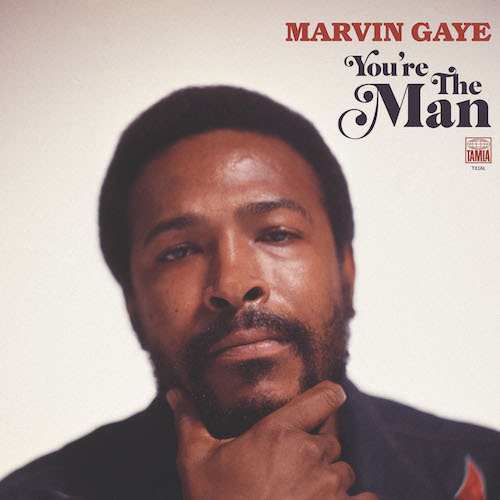 You’re The Man promises to be a major event for Gaye’s legion of fans, and an unexpected treat for 2019. In advance of the album’s release, today “Symphony” (SalaAM ReMi LP Mix) has been issued. The song certainly bears the aural vibe of the What’s Going On album, if not the irresistible hooks. But does get our juices flowing hearing new music from Gaye, and thinking about the rest of You’re The Man. Check out “Symphony” below and tell us what you think.